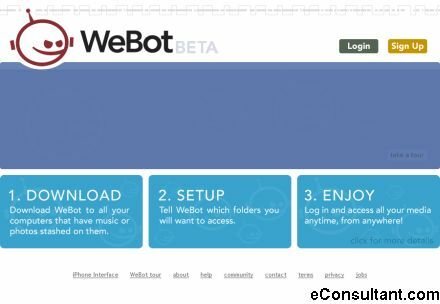 Description : WeBot is the solution to the escalating problem of too many computers with your photos and music and devices scattered all over the place. WeBot brings it all together and lets you be in control of your media and how you view and share it. No matter where you find yourself.